Please click here for more information about our upcoming fundraising events! 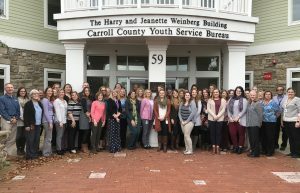 Carroll County Youth Service Bureau is a private, non-profit organization that has provided outpatient mental health services in Carroll County since 1972 and has grown into a multidisciplinary behavioral health service practice that offers a range of outpatient treatment services. Funding is provided by: The State of Maryland, Carroll County Government, Private Foundations, Medicare, Medical Assistance, private insurance and fees-for-service. 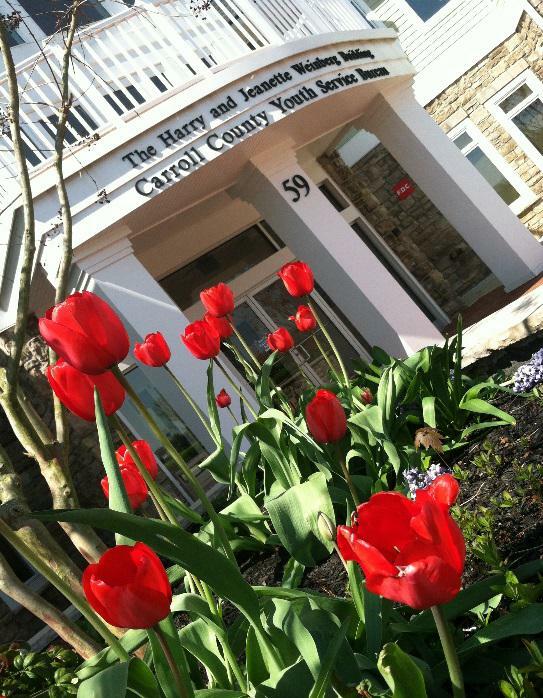 Carroll County Youth Service Bureau also depends on the community for financial support in order to maintain its quality of service. 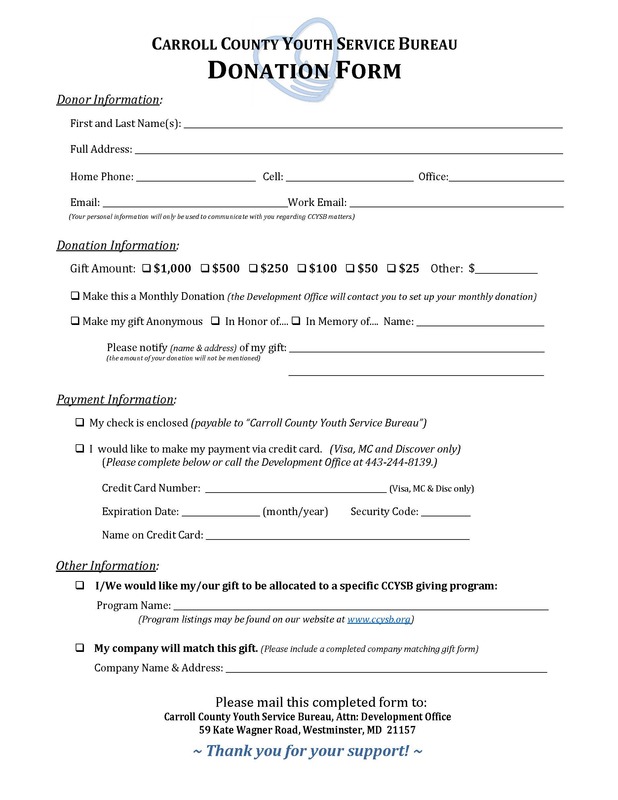 If you would like to make a tax deductible contribution, please select the donate button to the right, “Make Your Gift” link or mail in your donation using this form. 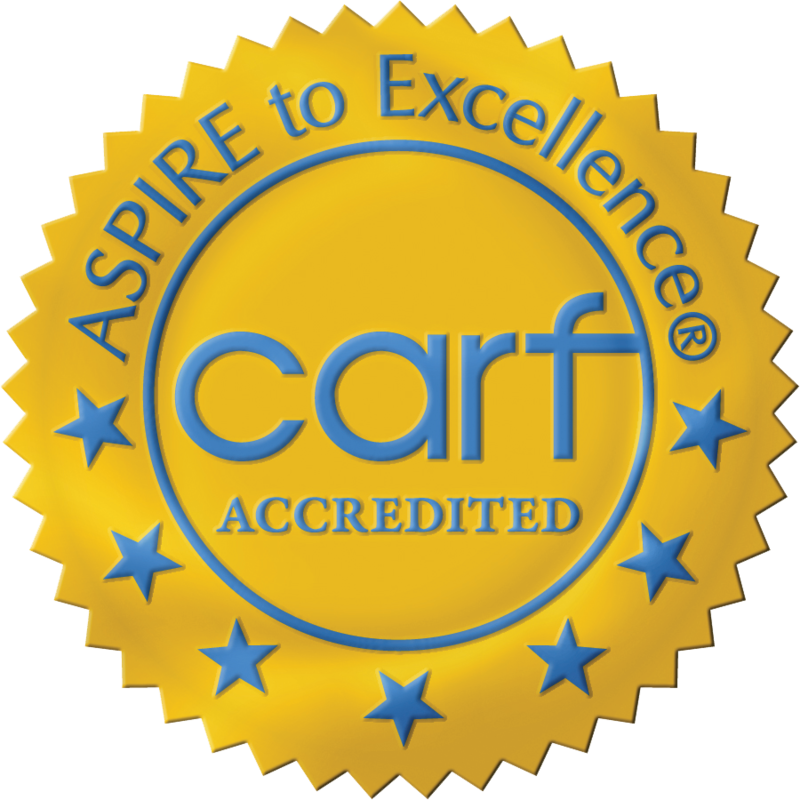 Our mission is to provide a full continuum of community-based behavioral health and substance use services for children, adolescents, transition-age youth, adults and families in Carroll County. We use a multidisciplinary approach to deliver prevention, intervention and treatment services in the least restrictive and most cost-effective manner. In the true spirit of the helping profession, we are dedicated to excellence in service, innovation in programming, and responsiveness to our community. We are a smoke and tobacco-free campus. Copyright ©2016 CCYSB. All Rights Reserved.